As I'm quite the sentimentalist at heart, I obviously keep a diary and each month I have been writing highlights, even small things such as having a catch-up with a friend. Its really a great way to show myself as the great things I've done. Plus it helps a great deal when writing a post like this haha!! 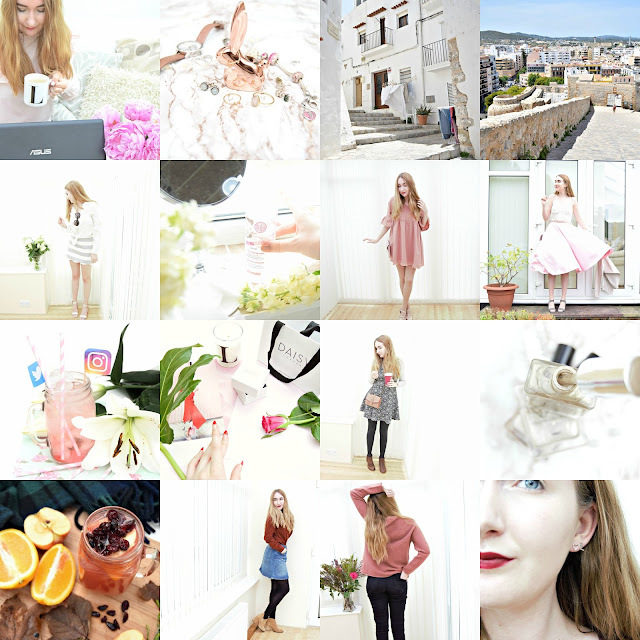 So I shall do a little recap from each month, is that ok?! January - I started the year purchasing two long lusted after pieces - one was my Lulu Guinness handbag; something I'd planned to buy for what felt like an age. When it arrived I remember being so so thrilled, like my smile was literally from ear-to-ear! Soon after, well near the end of the month, I finally plucked up the courage and bought my first DSLR camera. Having absolutely no idea how to use it, once I was home I remember nearly crying because I didn't know how to use it! To be honest I'm still not 100% sure now, but I was definitely the most worthwhile thing I've bought myself! Aside from my materialistic side, trips-out included visiting the theatre to see The Bodyguard in Manchester; seriously SO amazing! Also, a Sunday out in a local manor house, having Afternoon Tea with two girls from my work - now that I could do again! March - I have to say, March has definitely been my favourite month this year. I know it's a bit random to have a favourite month, but it just seemed like, looking back, I did so many great things! I managed to squeeze in a Trip to Cardiff to see my friend in university. I was gifted some shoes from Boohoo as a part of their Step into Spring campaign - this is something I still cannot believe happened! I went on a Spa Day with my mum for her birthday, I had a lovely trip to a local town with my grandma and auntie on Good Friday. Finally, I finished the month with a humongous walk around a local National Trust forest! I have to say, it really was a great great month! April - Now, I started the month in the absolute best way possible - I finally plucked up the courage and bought a pair of Valentino Rockstud's! I managed to save enough money and (without telling my mum how much they really cost) pressed 'complete checkout'. I have to say, some people would feel uncomfortable with paying so much, but I worked my arse off at my job and if I want to spend my money in this way, then why not; literally I'm still smiling now at the fact I bought them! Other great things that happened this month included, collaborating with fashion brand Boutique of Molly with a uh-mazing jumpsuit and generally a nice few trips here and there with family members. May - May for me, was quite a social one looking back. I had a few ~pub~ nights out with various friends; I'm a girl who much rathers sitting in a pub socialising rather than a disgusting club haha! I managed to complete the Race for Life in May, which is quite a big achievement for me. I managed the 5k in 34minutes 40seconds. In the fashion world, this was also the month the goddess herself, Alex Chung brought out Archive by Alexa and boy did everyone (including me) jump on the bandwagon! I won't moider here too much about it but serious those pieces were the bomb. June - Aside from weekends doing various bits and bobs; the main highlight of June was my Holiday to Ibiza with my mum. We spent 5 days on the beautiful island, took in as many sights and as much sun as we could! I'd been on a end-of-sixth-form holiday to Ibiza a few years ago but obviously we weren't there at the time to take in the surroundings haha. So this time it was so so lovely to visit such places as the Old Town, which were full of little cobbled streets and cafés - such a lovely trip to look back on. July - I started the month buy hitting 500 followers on Twitter! I know everyone says you should never focus on numbers blah blah blah, but its true that everyone is always a slight bit proud of themselves when they hit a milestone.. well I thought it was pretty good anyway :)! I also feel like I had a supper good month blog wise. I definitely know it was a combination of having amazing natural summer light and the fact I came home from my holiday super reenergized having had a week to really switch off. 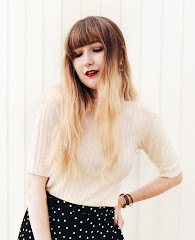 Some of my fav's include outfits 'The Sky Wore A Veil of Gold And Grey' and 'As Monochrome As I Go' - I really look back as this month with pride, like I can hate my blog sometimes, probably because I can obsess about it too much, but July was definitely a good effort! September - Now September is when my life went a little quieter, with it being the month most of my friends go back to university and generally not a lot planned. So thee main thing that happened was my Birthday Spa Trip - I TURNED TWNETY! I'm still a little bit in shock to be honest that I'm now officially in my twenties haha, but whateverrrr, these things sadly happen hahaha! Anyway, my mum and me took a trip to a beautiful spa not too far from where I live and had thee best Sunday/ Birthday I could ask for.. wouldn't mind doing it again to be honest! October - Now at the beginning of the month I wrote a post called The Start of a Busy Month. This truly summed up how October went, because honestly I did so much. The reason being, me and my mum went on three university open days - and not ones that were close to home either! During the month we visited Manchester, Epsom (in Surrey) and Northampton. It was tiring but so so worth it (even if I did get rejected by Manchester in the end LOL) I have to admit I 100% fell in love with the university in Epsom, it was such a lovely town and so so close (but far enough away if that makes sense) from London.. I'll be all mysterious now and say keep reading to find out which university offer I've accepted.. www www www!!! HAHA. Aside from all the university talk buzzing in my head, I had a weekend in Sheffield & Harrogate with my auntie. It was a really lovely few days and I 100% fell in love with Harrogate, such a lovely lovely town. November - For November, I kinda lost a little motivation with my blog. 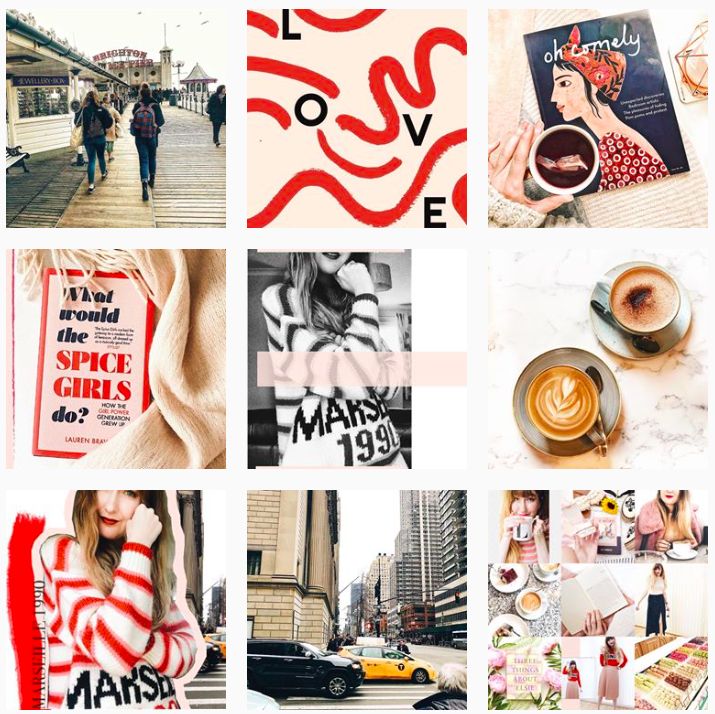 I think it was a bit of a mix of burn out and wanting to focus of getting Blogmas organised. I did a lot socially, but not a lot that I shared on my blog. But to be honest, there is nothing wrong with a little break from time to time, is there! I think what 100% brought back my motivation was being invited by the PR team of a local holiday village/ spa for Beauty Christmas Event. Being a blogger in a remote place like Anglesey (in North Wales if you have no idea where that is!!) 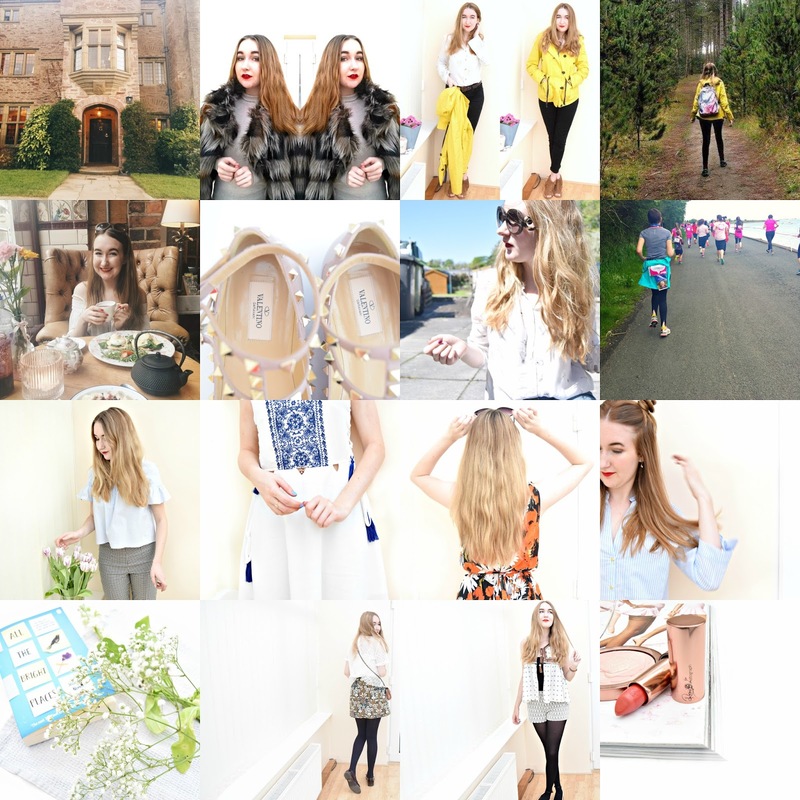 the term 'blogger' isn't really in anyone's vocabulary really. So for them to invited me to this public event, for free was INSANE! It was one of those things were I felt the stars aligned, because I was on a day where I'd booked the day off work weeks beforehand (with the idea to just find something to do on that date) and my friend was free as well! So when I was invited a few days beforehand I literally jumped at the chance... I may think my little corner of the internet will never amount to anything, but when I'm given an opportunities like this, it was a nice little confidence boost! December - Aaaaand we are finally at the December. Despite us still having 4 days left of the year, I don't really feel anything exciting is going to happen for me to need to edited in anything in this section, so let's recap now! One of the best things, probably this year to happen was the fact I got an offer from my 1st choice uni - University for the Creative Arts, in Epsom. I won't bore you with the details, but it's put my mind at ease so much to think, my job is finally going to be coming to an end and come September a new exciting chapter of my life will begin -YASSSSSS! 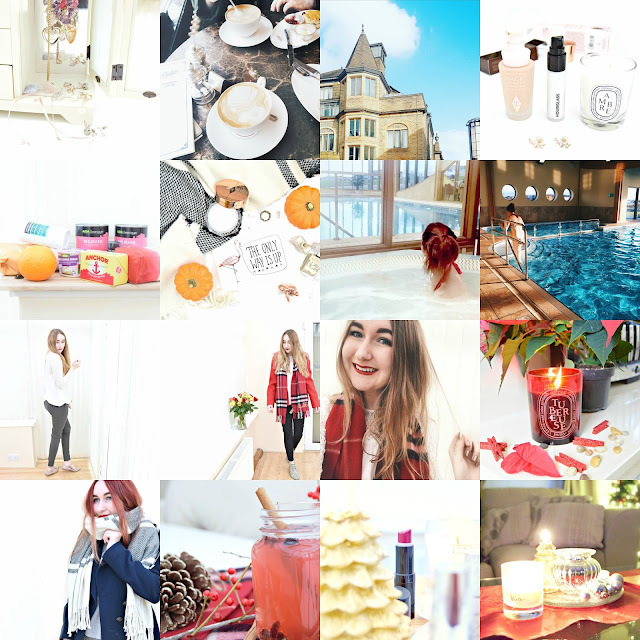 The most obvious highlight of this month has to be Blogmas. A little daily blogging challenge were you must produce a blog post everyday until Christmas - surprisingly this is something I managed!! Right up until the day before Christmas eve, every morning on this blog - a post was there. I have to admit it was so so fun and really pushed my creativity. Yes, I did suffer a little burn out near the end, who wouldn't?! But overall, I was a really great thing to do and thoroughly enjoyed it! WOW, I actually do not think I've ever written a post so long in my life! If you've made it this far you deserve a medal, but anyway thank you to you all if you've read, commented or even just glanced at my blog this year - it really means the world. I have to add, one other highlight from this year was getting to know and ultimately her becoming my #bloggerbestie - Lily (of the utterly amazing blog LilyOlivia.co.uk) She seriously has been a big highlight this year, despite us not yet meeting in person, she really has become one of my close friends - thank you Lily for making 2016 great!